I LOVE chili. This was so good I ate the left overs for breakfast. Weird I know. It has taken me weeks to adjust my breakfast routine. It really does require planning…there is nothing worse than trying to get ready in the morning and not know what I am going to eat now that I am doing Paleo. I have lived off of Eggo waffles for over 15 years. So not poppin’ one of those in the toaster each morning took some getting used to. I’ve done the left-over pork chop and chicken breast and steak…all very edible in the a.m. But this one is my favorite. I can pull it out of the fridge, heat it up, eat, follow it up with a side of berries and morning cup of coffee and I am good to go! mmm...look at all that goodness in there! Next add the tomato paste and the chipotle chili. If not using the chipotle chili in adobo sauce, but still want some heat, add some cayenne pepper…a teaspoon to start and see how hot you like it! Next add the can of diced tomatoes and low sodium chicken broth and bring to a boil. Lower the heat and simmer until thick and fragrant, about 15-20 minutes. For the printable recipe click here! Hi Dina! The book, The Paleo Diet is a great synopsis of everything about the Paleo Diet. I definitely recommend reading that one first. But, if acne elimination is a goal, then I would also pick up the Paleo Diet For Acne book as well since it will go into further detail. My own acne completely cleared up after going on the Paleo Diet. I went off all of my topical prescriptions I used to take! 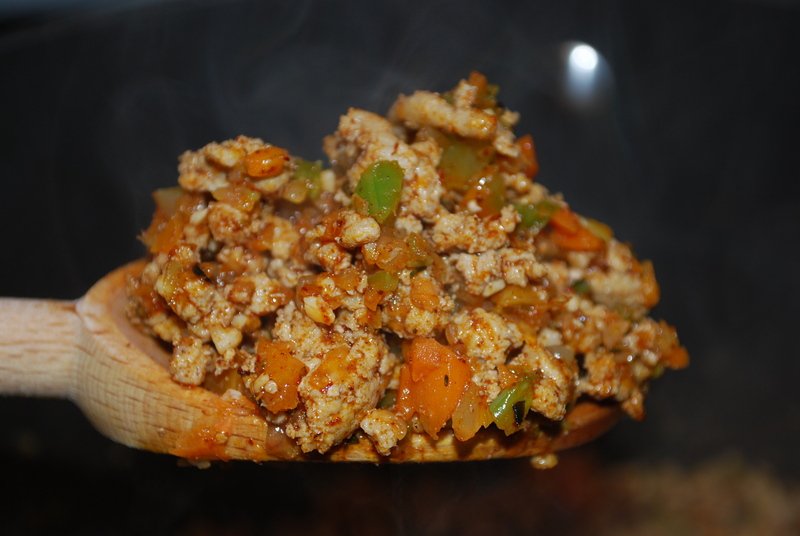 I made the turkey chili tonight for dinner…what a hit! It was so delicious and very easy to make. 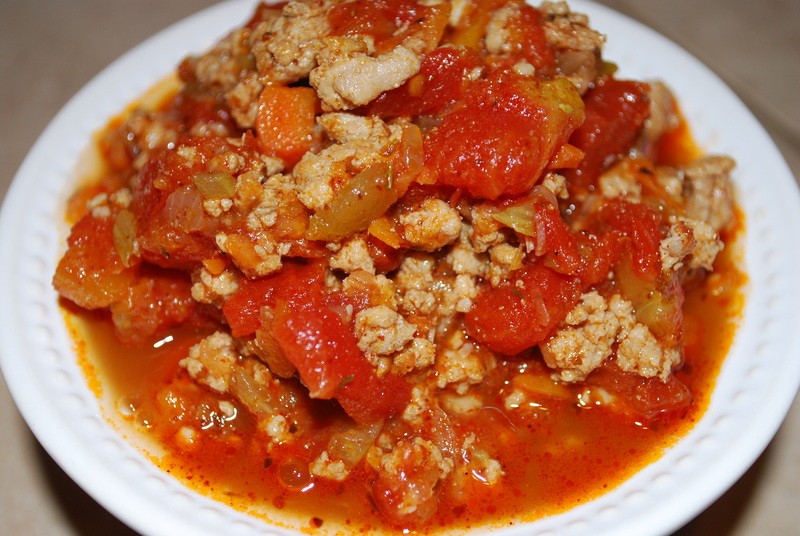 I loved the taste of the turkey meat rather than red meat and the flavors were great together! My husband already asked me to make this chili for him & the guys when they go up to the mountain for the weekend…thanks again! I’ll have to check out some more of your recipes! I found this recipe while looking for something to do with leftover Thanksgiving turkey. I boiled all of the meat off the carcass and used the resulting turkey bits and broth for the stew. The stew came out AWESOME! I love the chipotle chile in adobo in there and even added some extra. This is a delicious way to use up leftover turkey and I plan to make a another batch. Yum!